A contemporary textile bed. 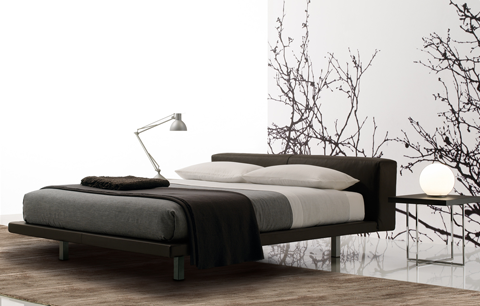 Formally Moby has been conceived as an original contrast of thickness between the headboard and the base. The particular sewing on the edges is the characterizing feature of the fabric version of thid bed designed by Studio Kairos.